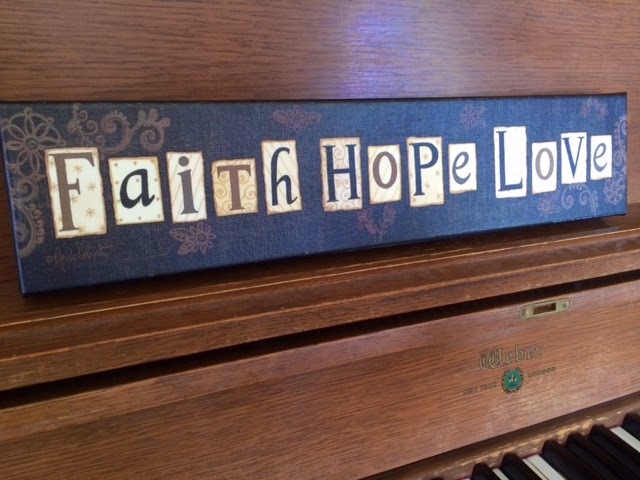 Have Faith, Give Hope, and Be Love has been our saying at church and thanks to Fulcrum Gallery I have this great canvas art put up at church to continue to remind our church family HAVE FAITH, GIVE HOPE, and BE LOVE. A huge thank-you to Fulcrum Gallery for sending me this piece in exchange for an honest review. I was not paid for this review and all opinions are 100% mine. I was given a budget to pick out an item for review. The site is not very friendly for the cell phone so use your computer! Once I was on my computer it was much easier to click around and look at all the different choices of art. After figuring out what picture I wanted I had some options for wrapping the canvas on the frame. It was easy to pick and choose because it offered pictures to guide you. I have never purchased art online and it was a bit hard to determine what I wanted without first being able to touch and feel it and really see the details but it all worked out very well. I love the word art on canvas! The packaging was very safe! My small frame was packaged in a huge box but it was safe and sound in transport- good job packaging team! My package arrived in a normal wait time, within a week!